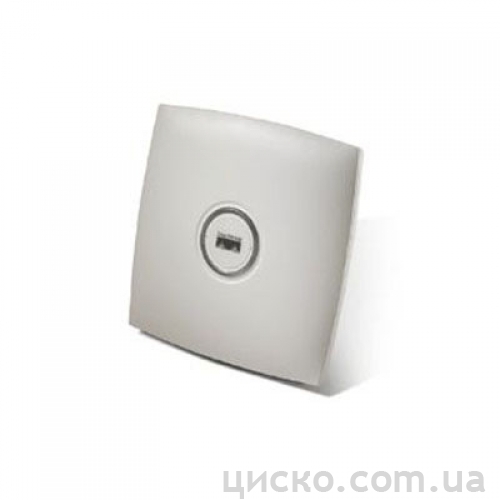 Автономная точка доступа от Cisco 802.11g Integrated Auto AP, Int Antennas, ETSI Cnfg. Модель AIR-AP1131G-E-K9. Частота 2.3 ГГц. Европейский стандарт связи. Бзопасность UL 60950-1, CAN/CSA-C22.2 No. 60950-1, UL 2043, IEC 60950-1, EN 60950-1, NIST FIPS 140-2 level 2 validation, • 802.11i, WPA2, WPA, 802.1X, AES, TKIP, FIPS 140-2 Pre-Validation List, Common Criteria (когда запущено Cisco IOS Software). Шифрование Advanced Encryption Standard Counter Mode with Cipher Block Chaining Message Authentication Code Protocol (AES CCMP), encryption (WPA2), TKIP (WPA), Cisco TKIP, WPA TKIP, IEEE 802.11 WEP keys of 40 and 128 bits.